Bingo is one of the most popular games and loved by Aussies. It is not only the winning attitude for Australians but to fund raise by playing this game for a social cause. May be that is the reason that Bingo rooms are run by community and charitable organisations in places such as local halls or club rooms. Bingo can also be played in ‘bingo centres’. A licensed bingo centre is a house or place in which sessions of bingo are regularly held on a commercial basis. 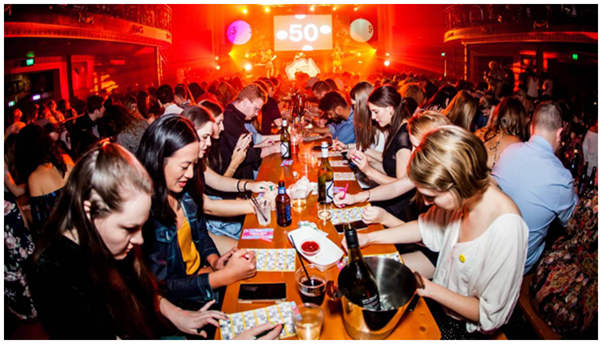 It is all legal when playing Bingo as when conducted for fundraising purposes by organisations registered by the Victorian Commission for Gambling and Liquor Regulation (VCGLR) as a community or charitable organisation. Here you will find the 10 most popular Bingo venues across the Victorian state and in the Melbourne, to play community-based bingo. Address: 1402 Sydney Rd, Fawkner, Victoria, 3060. Fawkner Bingo Centre has been providing quality entertainment to bingo players since 1987.It is open 6 days and 7 nights a week offering great Bingo events to win Melbourne’s Best Prize money. You can win some rolling Bingo Jackpots, also grab wonderful bonuses. You can play at all four sessions of Bingo on Monday day time and receive a free undercover bingo ticket. Free Numbers are drawn to kick the game off and every time somebody calls bingo throughout the day, mark the bingo number from your Undercover ticket. If you claim a full undercover bingo ticket, you win the Undercover Jackpot. The weekday sessions start from 11 am and night sessions from 7 pm. On Sundays there are only Bingo night sessions. Also beside Bingo you can enjoy free tea and coffee facilities, as well as a canteen and bistro setting with great value meals, snacks and beverages. Also enjoy their favourite desserts and relax yourself. Dorset Garden Hotel and Entertainment complex is the perfect place to enjoy your stay and play Bingo. The rooms are luxurious with all amenities like flat-screen TVs, free Wi-Fi and tea and coffee making facilities, plus mini fridges. Upgraded rooms feature separate living areas and whirlpool baths. A lone apartment adds a kitchenette, a second bathroom and a private courtyard. Address: 5B Brechin Drive, Fountain Gate, Victoria, 3805. Fountain Gate Bingo is one of Victoria’s leading Bingo centres, dedicated to providing a social entertainment venue that is safe, fun, and friendly. This bingo center is known for its reliable customer service and player benefits. With a prize structure payout of over $100,000 weekly, Fountain Gate Bingo offers the best odds of any form of gaming. The most interesting feature here is that you can also enjoy Electronic Bingo here and win great prizes. You can choose to play rolling jackpot bingo as well as other casino games such as roulette here. This center is open seven days and seven nights and you can enjoy Bingo sessions on Wednesday and Friday night, and on Thursday during the day. The Shepparton Club is a popular social venue in the local region and offers budget friendly Membership, Members rewards and a fantastic Bistro. The Sports Bar is where you will catch all the action from the world of sport and is complimented by full TAB facilities and a giant screen. The Shepparton Club also has Keno and snooker tables. With great customer service the club also hosts bingo games. Bingo sessions are open Monday to Saturday 10:30am Day Sessions Commence at 12 noon – Night Sessions Commence at 7:30pm – Mon-Fri Night Sessions Commence at 7:00pm on Saturdays. You can win up to AUD$100,000,00 when playing Bingo here. 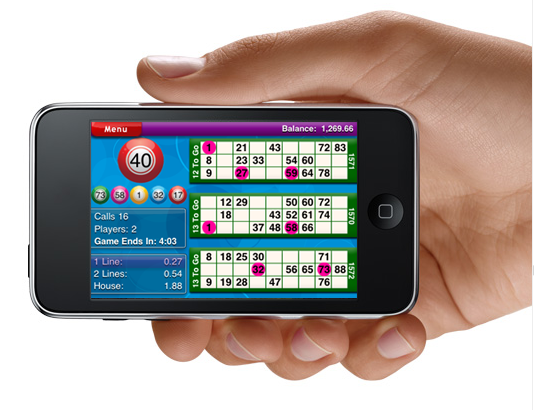 Also electronic bingo is available to experience the thrill of the gaming. You can win a cash cruise where you can grab up to $100,000 as cruise holiday when every letter of Bingo is collected in the feature game. You have total 5 chances to win this offer. The Ballarat Bingo Centre boasts the best bingo facilities, games, prizes and atmosphere.It has been providing entertainment to Ballarat residents for over 35 years. Their current location is the Norvalle Function room at North Ballarat Sports Club, providing excellent customer service and great Bingo. The Bingo sessions are held on Monday, Wednesday, Thursday, Friday and Saturday, three sessions per day, times vary each day. There are great promotions offered by Ballart like free scratchies with instant prizes, special games, mystery prizes and a massive $10,000 Jackpot special. The Mildura RSL Sub Branch Inc. is a first class facility which has won many prestige’s awards for excellence in service, facilities and community support. The Returned and Services League with some 1500 Sub Branches Australia wide and with a membership of 240,000 is the largest service association in Australia. The RSL came into existence at a conference in Melbourne on June 6, 1916. You can enjoy some great Bingo sessions on Monday and Wednesday at 7.45 pm. If you want to play on weekends then it is open on Saturday at 1.30 pm and 7.45 pm with Sunday at 2 pm. You can enjoy some time out with friends playing the exciting and timeless game of bingo at Carrum Gardens Bingo Centre. The Bingo sessions are held 6 days and 7 nights a week. The caller will announce the colour of the book and ticket as well as the serial number prior to the start of each game. You must be playing the correct ticket to win. When a player calls “Bingo”, the supervisor shall decide whether or not that person has won the game. If the caller announces a number incorrectly he or she shall announce that they have made an error and announce the correct number. A player completing a full house following the announcement of the last number must denote such win by an audible call of “Bingo” and raise his or her hand. Prize money in excess of $999 must, according to Regulations is paid by cheque. While you enjoy Bingo you can also enjoy great food at Café. On Saturday nights and promotional nights you are offered home made cakes, sweets and drinks. The Bingo sessions start on Monday daytime from 12 noon, Tuesday-Sunday daytime from 11.15am offering multiple session throughout the day. Monday to Sunday night games start from 7pm and have two sessions each night. Address: Derrimut Rd & Heaths Rd, Hoppers Crossing, Victoria, 3029. Werribee Bingo center is fun place to enjoy Bingo and socialize with people. Make new friends, play Bingo and win prizes. Their new site is located at Shop MM12, Werribee Plaza at a moment’s stroll from the multilevel car park and bus terminals, the Best entry via Derrimut Road – Bingo Centre behind KFC. This center offers modern comfortable and spacious setting. Bingo sessions take place daily from Monday to Saturday, starting at 11:30 am and at Night from Monday to Sunday starting at 7 pm. Besides these 10 wonderful Bingo places you can enjoy Bingo at Northern Bingo Centre, Prahran Bingo Centre and many others in and around Victoria. Each of these venues near Melbourne and around the Victorian state are all licensed to hold regular bingo events. Remember you must be 18 years of age to take part in these Bingo sessions.